What’s a better fix for a sweet craving than chocolate? Nothing, in my opinion. But with check-out stands crowded with chocolate bars, how to choose? Well, it’s easy. As with everything else on Gustiamo’s website, quality ingredients and time-tested traditions make for a quality product, and the same goes for chocolate. Chocolate maybe isn’t the first thing you think of when you think “Italy,” but La Molina is changing all that. Started in 2000 by the Lunardi brothers, who had been making pastry for years, they’re constantly thinking of new ways to reinvent the classics. 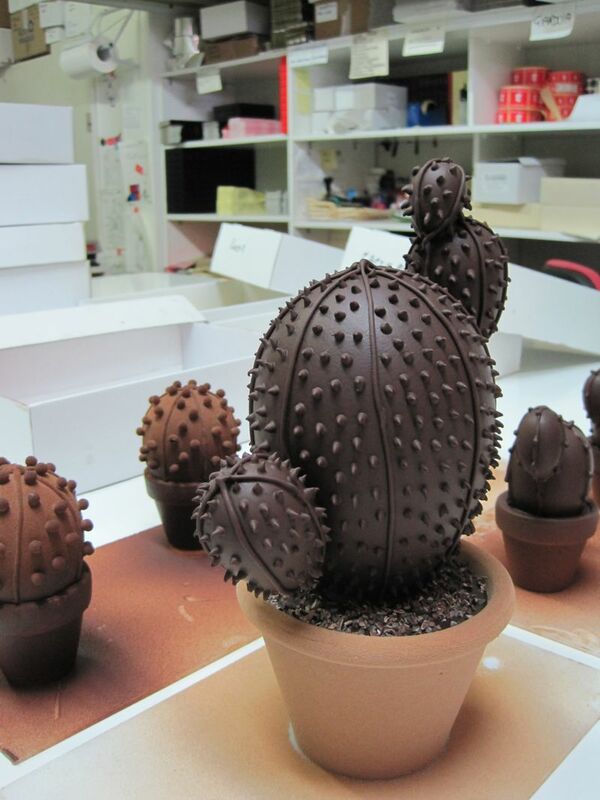 What better example than their chocolate cactus, a new and fun take on the Italian favorite, chocolate Easter eggs. But maybe they are most unique in their business model: everything is made by hand using only the best ingredients. 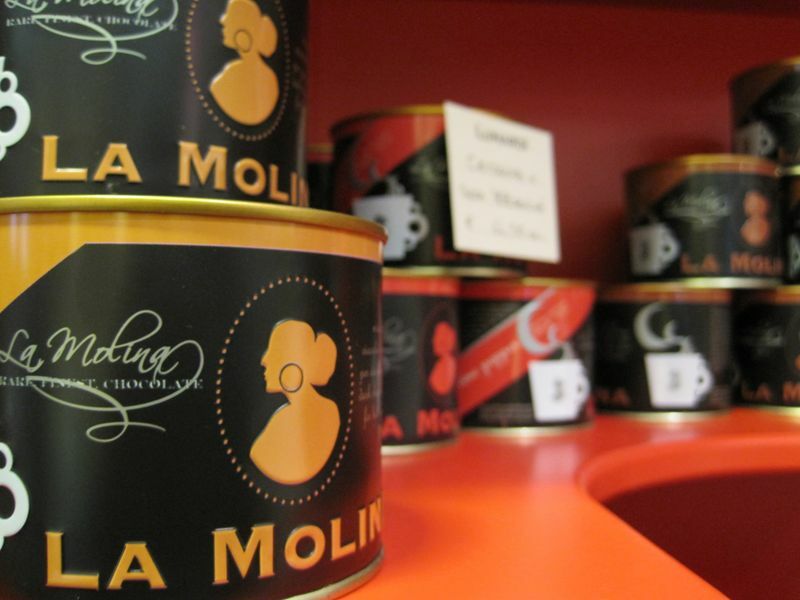 Unlike industrial chocolate companies, La Molina sources its chocolate from small plantations. The chocolate is produced according to a recipe unique to La Molina, and the amazing flavors and shapes are created after the chocolate arrives in Italy. The day I visited, they were in the process of turning fresh oranges into candied orange peel, making the entire workroom smell like orange (Alessandro, who was wonderful and showed us around, offered us a few of the already-peeled oranges. Since they only use the peel in the chocolate, all of the employees take home oranges to their families. What a bonus!). The fact that the ingredients are fresh and are added by hand is obvious – the “gianduja” (hazelnut) chocolates taste like the hazelnuts had been freshly toasted, and the intensely creamy chocolate melts in your mouth. La Molina chocolate is delicious, but it’s also beautiful – the packaging is modern and innovative, and is a feast for the eyes as well as the mouth. And they get what all of us chocolate lovers want – their chocolate bars are big enough to be satisfying, but they’re small enough that you could devour the entire thing yourself. You’re meant to get your hands dirty and enjoy the chocolate to the last bite, bringing out the kid in everyone. And that’s how La Molina thinks about chocolate – it’s a connection to pleasure, to bliss, and it should be enjoyed and celebrated as such. 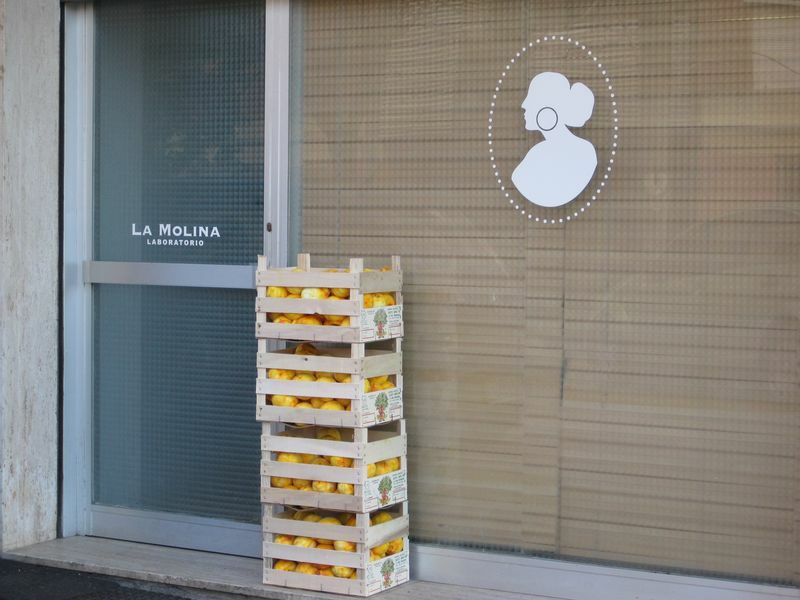 All in all, from the beautiful packaging to the incredible flavors and textures, everything about La Molina is well crafted. Previous Post Saffron from Cooperativa Navelli – DOP zafferano dell’Aquila – In the NYTImes!! !